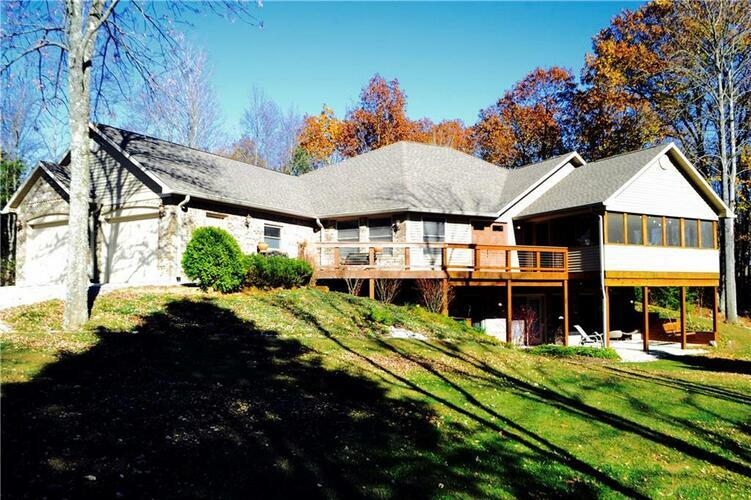 Beautiful custom built home with all the privacy you could ask for on nearly 3 acres! 4 beds and 3 full baths in this 3700+ square foot home. Plenty of space to entertain with the great room on the main and family/rec room in the basement. Enjoy the outdoors from the screened in deck, the covered porch from the walkout basement, or out by the fire pit. Open concept, updated kitchen with stainless steel appliances, separate dining room, and master suite on the main level. Move in ready! Directions:ST RD 37 South to ST RD 44, LEFT on ST RD 44 to Cope Road on RIGHT. Take RIGHT on Cope Rd to Old Moore Rd on RIGHT. RIGHT on Old Moore Rd to Dogwood Trace on RIGHT. Home is on RIGHT.